England have enjoyed a very positive start to their World Cup campaign. Even on the back of an extraordinary 6-1 victory it would take an enormous leap of faith, not to mention a reckless disregard for battle-hardened sides with better pedigrees, to even think of England lifting the World Cup trophy next month. Successive English sides, packed with some of the biggest names in soccer, have over promised and under achieved, turning World Cups and European Championships into studies in fragility. To speak of England winning the World Cup had become slightly preposterous, and the preserve only of the more fanatical patriot. Yet whatever happens between now and July’s coronation at Moscow’s Luzhniki Stadium, Gareth Southgate's England team has started a new chapter, and rekindled genuine hope. Here in Russia the element of aggressive and abusive English support which shrivels the soul of true sports fans appears to be absent. So too the self-doubt and paralysing paranoia, despite a storm-in-an-English-tea-cup spat over Fleet Street’s publication of a sneakily procured team list. Instead, England are playing like one of those World Cup heavyweights that looks bigger and better than the sum of its individual parts. Against Panama, England were a team that showed patience, a calm head in front of goal, an all-for-one-and-one-for-all team spirit that rendered the Panamanians's attempts at intimidation pointless. In short, for 90 minutes in Nizhny Novgorod, England looked the real deal. 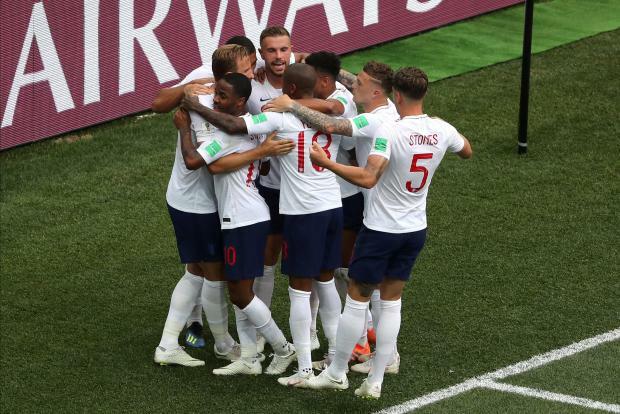 Largely solid at the back, although there were a couple of lapses stronger teams would have punished, and industrious in midfield, England found the scoring touch, and it will have pleased Southgate that the goals came from multiple sources. John Stones pitched in with two from defence, Jesse Lingard struck a beautifully curled goal, and captain dependable Harry Kane bagged a hat-trick, although he would have known little about the third which clipped the back of his heel. Southgate, too played a blinder, replacing Kane with Jamie Vardy when the match was already won to save his skipper from having to take any more kicks and knocks from the frustrated, burly Panama defence. England's dozing defence that allowed Panama a consolation goal off a free kick will face more unforgiving tests ahead, against Belgium in the final group game and in the last 16 at least, but this England team played in white shirts the way they do week in week out in the Premier League. Hewn from the likes of Manchester United, Manchester City and Tottenham Hotspur, that bodes well for the some 2,500 supporters who have made the trip to Russia. They played with flair, and passion, they pressed high and worked tirelessly. Jordan Pickford marshalled his defence with a firm hand. Of course, Southgate will not lose sight of the fact this was Panama, the 55th-ranked nation in world soccer. Still, Sunday's victory was the first time an England side has scored more than three goals in a World Cup encounter since winning the 1966 final 4-2 against Germany. Lifting the trophy may well prove to be beyond them, but England have shown there are many bright days ahead for this young side and their manager.